Do you remember book tokens? Well, I was very lucky to get quite a few of them for my birthday. They now seem to resemble credit cards more than paper vouchers, but they still are the most wonderful present. I love buying books, and having tokens for that very purpose helps allay any guilt that I should be spending my money on something more practical. After all, I have plenty of books at home waiting to be read. Book tokens give me the best excuse possible to buy more books. However, book tokens do present one challenge. In this age of internet shopping where virtually everything is online and cheaper, there are far fewer bookshops to go to, to actually spend the tokens. I am by no means a militant buyer of books. In my eyes, Waterstones is by no means as evil as some critics make out. While they are, of course, a massive chain with huge purchasing power, there are still plenty of branches that bear the hallmark of a good manager. Still, ideally, I like to try to support the independent booksellers that do remain. And so, I endeavoured to find a suitable location for my purchasing. I got incredibly lucky. After a bit of an internet search, I chanced upon a likely candidate. The London Review of Books Bookshop in Bloomsbury turned out to be something of a revelation. Immediately, upon opening the door, it appealed to the book fetishist in me, with the heady scent of new books, and the vision of shelf upon shelf stacked with books on every conceivable subject. 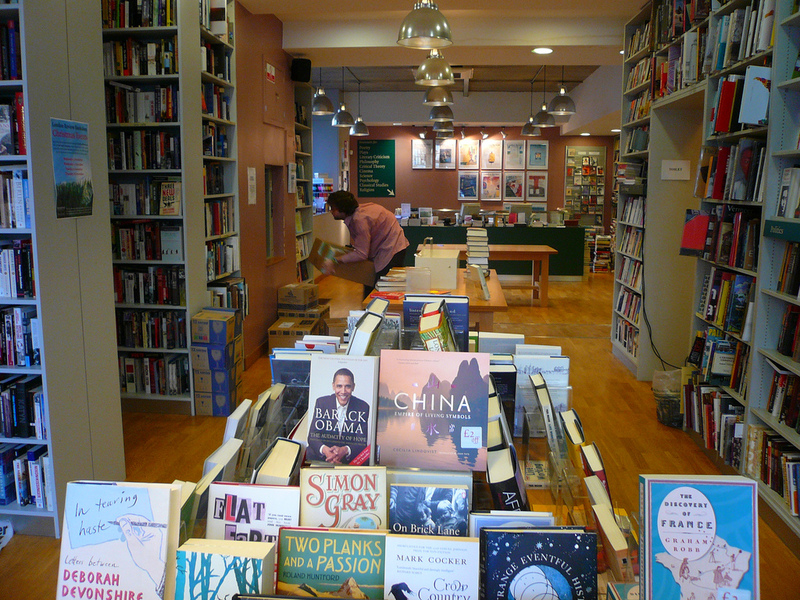 It was a perfect example of the advantage independent booksellers can have over the internet, as a visitor is able to discover new books they never realised existed, or perhaps books they had forgotten about, or thought were out of print. Amazon does a pretty good job of guiding its customers, but there is no substitute for the joy and sheer usefulness of actually browsing a good bookshop. I made something of a whistle-stop tour, and so will have to make time for a proper visit soon, especially as it has it own cake shop attached, which I’m sure is a fine place to review any new purchases. Plus, I like cake. I may have to get my finances in check (or get more book tokens) first, as it could be an expensive return. In a short visit I picked up three books, and could have easily picked more, as everywhere I turned I saw another interesting (and often new to me) volume. It’s just one of those shops. Image by rvacapinta via Flickr.